Ooh, this sounds interesting. I will try this if it fails again. Thanks for this! 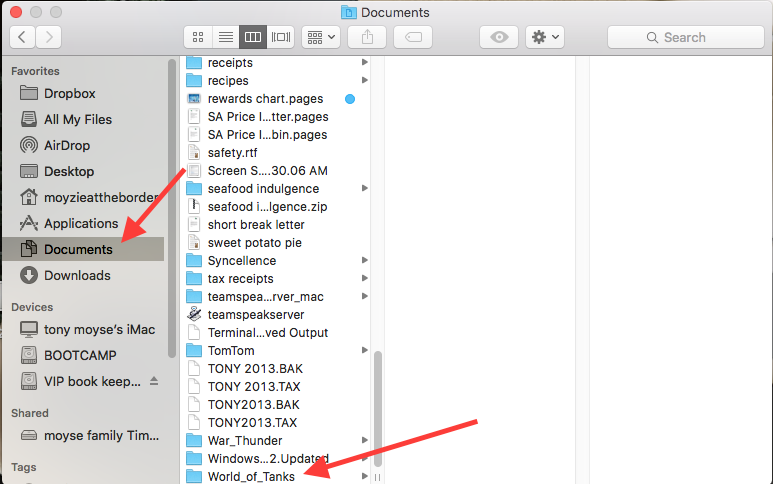 For details see log file." Edited by Markovy, 25 February 2016 - 11:43 AM. Could you upload your WoTLauncher.log and WoTLauncher,cfg to mediafire.com? on your mac can you follow the instructions I have posted on the bottom of page 1 of this thread. You need to go back to the date of the last time you were able to play, and then back another day or two so that you can get the WoTlauncher.cfg file that worked and click restore then. Update server address in your launcher config file is incorrect. There is excessive space. You can fix it by open WoTLauncher.cfg and edit it by yourself. At line; " <item>http://update.worldoftanks.asia/ </item>", please remove space after "http://update.worldoftanks.asia/". Then save your editing and you should be fine for connect to update server. 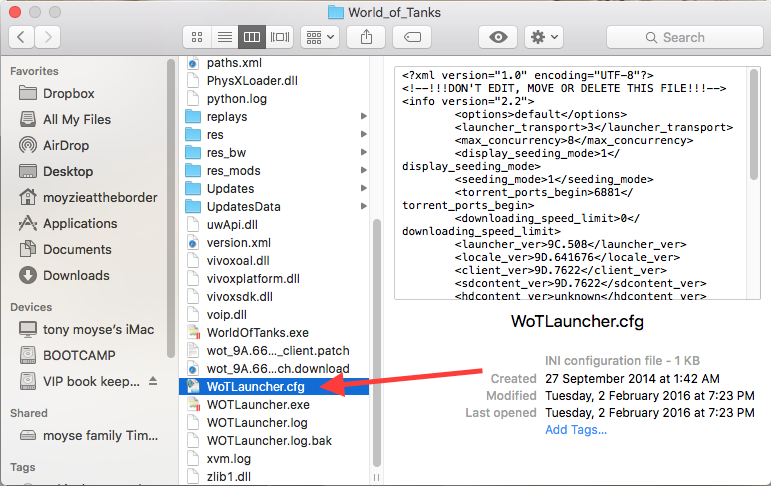 Just download this WoTLauncher.cfg file and replace one in your WoT folder with this file. OMG!!! It worked... I am back in the game after weeks... months out of being out of action!! Hey awesome help guys! Huge thank you from a kiwi in Auckland NZ. i don't see that: "At line; " <item>http://update.worldoftanks.asia/ </item>", please remove space after "http://update.worldoftanks.asia/". Then save your editing and you should be fine for connect to update server." solution here.. Your case isn't incorrect patch URL. Yours is missing the whole line that contain patch URL. Please upload your WoTLauncher.cfg to file hosting site such as mediafire.com or Drobbox. Then post download link here. You could fix it by yourself. so i tried doing what you instructed me to do, and now it's updating! i hope it'll run now..
but fingers cross, hope it runs now! thanks alot sir!! i cant see your line 23 "At line; " <item>http://update.worldoftanks.asia/ </item>", please remove space after "http://update.worldoftanks.asia/". Then save your editing and you should be fine for connect to update server." solution here..
You have to add update server address by yourself. Edited by Crunchy121_CrunchyDucky, 04 August 2016 - 09:02 PM. I'm having issues with my game client "Unable to connect to update service" and I read the earlier replies in this thread saying is to remove the space" <item>http://update.worldoftanks.asia/ </item>", please remove space after "http://update.worldoftanks.asia/". I'm using windows 10 and I opened my cfg file but there's no space between. So I tried all the options here but I still get this Error, any help? I am still getting this error.. tried alsmost all possible fix but still no luck.. I have no issues with this since 2012, but when I came back,, got this issue..
Edited by CaBzZ, 12 July 2017 - 01:33 PM.